Not only is our goal to see more people get out by bike, but to be able to bike in a strong and vibrant community. Businesses that encourage their patrons to bike are not only helping the environment and the health of our community, but also are attracting a fast growing segment of their market. It’s a win-win! Here is a list of some places that we describe as a Bike Friendly Destination. That can mean a wide range of things, but in general they are accepting of cyclists and their bikes, and offer a discount of some kind if you ride your bike. A BicycLincoln “Bike Friendly Destination” door decal will be sent to all on our list. Indigo Bridge Books – a free shot of espresso to those that bike to the store on Sundays – just show them your helmet! 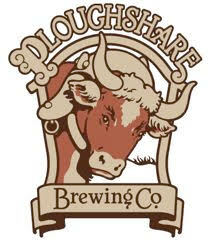 Ploughshare Brewing Co. – show you bike helmet on Sundays and get $1 off your first Ploughshare beer. For up-to-the minute info, check out Ploughshare on Facebook and on Twitter. Know of a Bike Friendly Destination that should be on this list? Let us know!